I am not sure who the original source is but after a quick search I found that a Finnish opera singer, Tom Krause, should be the source. Actually the source is not important; the quote is good anyway. The quote stresses how thoughts become your destiny following a pattern that makes your thought become your reality. Let us say that you have a negative thought… but where does that thought come from? Did you wake up this morning saying: “Today I will have only negative thoughts!” No, I do not think so. The thought is always induced by something; maybe it was induced by some experience or event. This means we need something prior to thought in the pattern from the quote – like ‘event’? Yes, event makes sense, but it will not fit the quote because you cannot watch your events; they would be out of your control. But what is not out of your control is your perception of events. You can choose how you will perceive an event or experience. You have the power to choose to see life from a positive angle rather than a negative. I think that is what the quote is trying to tell us. If you choose to perceive events from a negative focus you will convey the experience in negative words and they will induce some kind of negative action. If you keep doing this then your negative attitude will become a habit. From one of my other posts you know that habits are the building blocks of your life and if you choose to build your personality from negative building blocks then your life and destiny is going to be a negative experience. Do you want that? No, you do not – that is not the nature of man. We want security and happiness and you can get that if you start watching your thoughts. I have made it a habit, or routine, to listen to YouTube seminars while riding my bike every day. My bike is the best mean of transportation I could ever think of. I never get stuck in traffic and I am not dependent on buses or other kinds of public transportation. My bike is the ultimate mean of transportation because it makes me feel free. I travel between 10 and 30 km every day on my bike and yesterday I had a 20 minutes ride; just enough to listen to some wise words of the Shaolin monks. There was a story about a monk wanting to teach how to throw a punch. 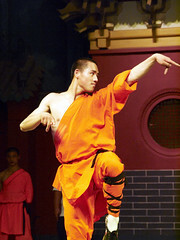 The student had a lot of experience in martial arts and was interested in the advanced stuff of the Shaolin monks. The teaching of the Shaolin monk was that knowing how to do advanced stuff does not make you a master. You become a master by mastering the basics. I have practiced taekwondo for almost 20 years; I stopped practicing a couple of years ago. I did not find the joy in practicing as I used to do; I did not feel challenged. It was great physical exercise and it felt good being able to do things that few can do, but after a while I wanted to do more than that. But there were not anymore techniques to learn. For about 12 years I instructed beginners in the basics of taekwondo and I found it very rewarding. By teaching others I learned much more myself. Today I practice swimming and the first three years of swimming I felt an enormous progress, but now I am stagnating. For a while I have been thinking if I should become a swimming instructor? On the side I experienced with rowing and I became quite good at it and I also became a rowing instructor. I have proved several times that I am good at sports, but I am not a master although I can do a lot of the advanced stuff. In taekwondo my greatest success was doing the side kick; it became good and powerful and it still is. For me it was one of the most difficult techniques to do and I decided to become good at it. Four to five times a week I practiced the side kick in slow-motion; I did hundreds of repetitions for a whole year and I finally got good at it. I used the power of habits to learn every single movement of the leg to perform a side kick. That is the closest I ever got to master the basics in taekwondo although I was generally good at it. The words of the Shaolin monk made me think about this. He made me think about my life in general. I think a lot of people want to be experts and masters at something and the practice hard and they learn a lot of techniques in whatever they are doing, but they never become experts; they never become masters. I think that the true masters of a discipline are not trying to become masters. They are studying every aspect of the basics; they have done an in depth research and they now everything that you can possibly know about the basics. By mastering the basics of your life you have an excellent foundation to perform the advanced stuff upon. By mastering the basics using good habits you can become the master of your life and the master of your destiny. According to the dictionary a habit is: “… a routine behaviour that is repeated regularly and tends to occur subconsciously.” We need habits to make a solid foundation upon which we can build our life. Sometimes these habits become a hinder to what we want because they have turned into bad habits. That often happens when conditions in our environment change and we do not change with these conditions. E.g. every day you drive the same way for work, and you have done it for years. If someone at work would ask you how many traffic lights you saw on the way and how many of the traffic lights were red, then you would not be able to answer. Driving to work is a routine that you do not think about and your subconscious mind has taken over most of your driving. 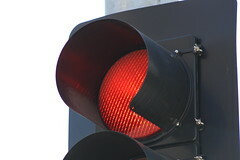 Many years ago I drove my car the same way every day and one day I missed a traffic light and ran through a red light. How could that happen? Well, the traffic light was new and it had never been there before and was not a part of my unconscious routines. My old habit suddenly had to change or it would turn into a bad habit of running through red lights. Habits are very powerful because they are actions that we do without having to think about what we are doing. That is why you can take charge of your own life and destiny as soon as you learn how to control your habits. Old habits are very difficult to break and new habits are difficult to make because the routines of the habits are programmed into your neural pathways and you need to reprogram yourself to control your habits. Aristotle said that virtues are habits and the good life is a life of mindless routine. Basically this means that your life equals your habits. If your habits are good you will have a good life, if your habits are bad you will have a bad life. Take a look at your life and see if you succeed in what you are doing. Are you happy? If not, then maybe you should consider doing thing differently. Stephen R. Covey is the author of the book “7 Good Habits of Highly Effective People” and he found that habits are the sum of our knowledge, desire and skills. I highly recommend this book and in my upcoming posts I will show you how important emotions are as well. 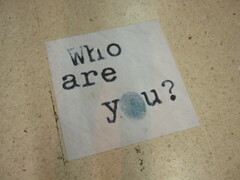 “Who am I?” gave 45 million results on Google and the term “Who are you?” gave 74 million results. It seems like 45 million people do not know who they are and about 74 million people want to tell you who you really are. Well, I know that conclusion is a bit off, but it is thought provoking that 45 million people question themselves. They must be somebody and if they do not know who they are, then who does? Do you know who you are? Are you in charge of your own life? You should spend time every day of your life to discover yourself and develop yourself. Take charge of your life and do not let other people tell you who you are and what you should do. The only way you will be happy is by being yourself and living your life. Everything you are and everything you want to become is inside yourself just waiting to be discovered. Most people do not realise how much influence they have on their own destiny. Some people are unhappy and discontent with who they are and what they have become and if I ask them to do something about it they reply – I cannot change who I am, or – this is my destiny. You know what? – They are right about the fact that they cannot change who they are, so why do they keep trying? Without knowing they are trying to be what they are expected to be by their friends, family, colleagues, fellow students etc. These people think that this is who they are and they just have to settle with that. But that is not how it is. Did you know that you can see yourself reflected in other people? Your mood will be adapted by people around you and if they like you the will mimic you. 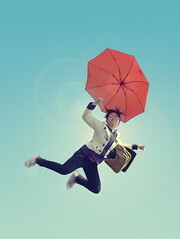 You do this as well; it is something you do unconsciously. If you do not take charge of these reflections then your social circle will define you. I suggest that you spend some time alone with yourself every day. Discover what your needs are, what your dreams are, what you feelings are, how you would like to be. Then start communicating what you discover, start being with people that reflect your values and your dreams. Take charge of your destiny!